For the convenience of our customers we accept online payments. 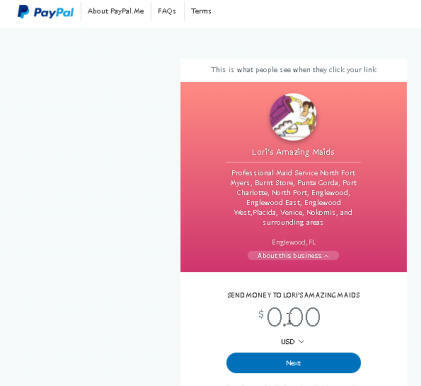 The payments are processed through Paypal. A Paypal account IS NOT required to make an online payment. Simply click the PAY YOUR BILL button and enter the amount due. You will be prompted to either sign in to your Paypal account or you can pay as a guest and enter your credit card information once prompted. All payments are secured through Paypal’s server and protected by encryption and their policies. For the convenience of our customers we accept online payments. The payments are processed through Paypal. A Paypal account IS NOT required to make an online payment. Simply click the PAY YOUR BILL button and enter the amount due. You will be prompted to either sign in to your Paypal account or you can pay as a guest and enter your credit card information once prompted. All payments are secured through Paypals servers and protected by their encryption.